Delilah Noir "Pretty in Pink" by Ashton Drake. 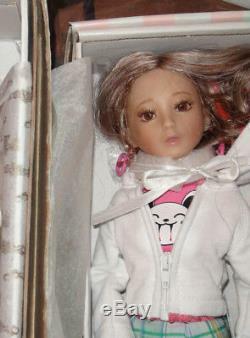 16 vinyl ball jointed doll. Her vinyl is very tough--there's just a minuscule white mark on her leg. Two accessories: a small stuffed brown ferret and a pink vinyl purse. Ferret is named Cross Hairs. The purse is very well made and has a long strap that can be slung over Deliah's shoulder. Delilah is wearing a white hooded sweatshirt with a real zipper. The hood of the sweatshirt is lined with pink striped fabric, and it has bunny ears: The lining of the sweatshirt matches Delilah's knee-high striped stockings. The sweatshirt is finished very nicely. It even has pink ric-rac sewn into the hem. Delilah is sporting a bright pink groupie tee shirt. It's a well made, hemmed tee shirt that closes in back with two snaps. Delilah is wearing an ultra-short plaid mini skirt with a pink lace petticoat with a mix of green and yellow plaid with hot pink, it has an overall bright, cheery appearance and has two pleats in the front of the skirt. It closes in back with one snap. Delilah is wearing her striped knee high stockings and these fascinating high-heeled suede Converse sneakers: The shoes are well made, and it's a very creative design. Her wig is a strange mix of colors. It's a light brown with blonde, pink and auburn strands mixed in. Her eyes are a rich brown color made out of plastic and her eyebrows are very nicely detailed and her eyelashes look nice. Exodus 20: 8 Remember the sabbath day, to keep it holy. WE DON'T TAKE CHANCES ON OUR COLLECTORS ITEMS. ANYTHING WORTH COLLECTING IS WORTH PROTECTING. STORE CLOSING 2.18.19. THE SHORTER DOLL HAS A SPIN MASTER BODIE WITH A WEE THREE DOLL HEAD. This way works best BECAUSE, some buyers tend not to pay, which leaves the items unsold with wasted time. If a Price was NEGOTIATED. 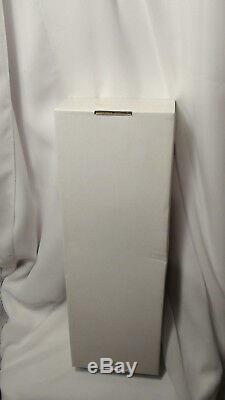 YOU DON'T WANT YOUR DOLL BOX OR LOOSE DOLLS CRUSHED, YOU WILL NEED TO SELECT PRIORITY WITH BOX. I ONLY HAVE POSTAL SERVICE FREE PRIORITY. IF YOU KNOW YOUR AREA IS HIGH RISK YOU WILL. FOR AN ADULT SIGNATURE SO YOUR BOX ISN'T. LEFT UNATTENDED AS WELL AS. NO Questions asked, means that you fully understand my listings. The actual item is shown from pictures. A case will open & Strike. THANK YOU FOR YOUR UNDERSTANDING. If Possible Please Make all Payments on Saturday for Monday Pick-up. CASE OPENS W/O CONTACT IN 3 DAY. ONLY Global used outside the USA. Signature will be required for proof that someone received the package. Yes, even the postman can make a mistake and leave packages unattended or at an incorrect address. I WRAP, BUBBLE WRAP, ADD CARDBOARD IF NEEDED. THEN FURTHER PAD IN HOPES THAT ITEMS ARE RECEIVED AS SENT. PLEASE TRY TO UNDERSTAND WHY ANY DIFFERENCE THAT SHOULD NEVER BE AN OFFENSIVE AMOUNT. The world, that he gave his only begotten Son , that whosoever believeth in him should not perish, but have everlasting life. I say unto you, that likewise, joy shall be in heaven over one sinner that. Repenteth , more than over ninety and nine just persons, which need no repentance. 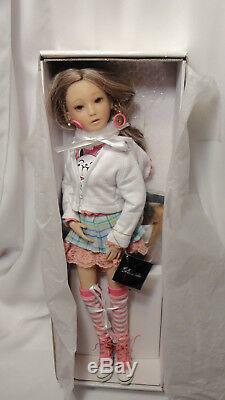 The item "Ashton Drake Delilah Noir Jointed Fully Articulated 16in Doll HTF Rare" is in sale since Sunday, January 20, 2019. 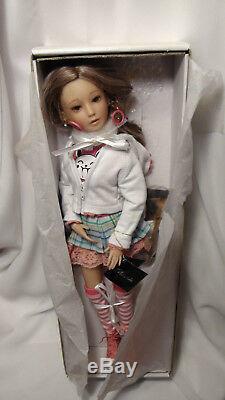 This item is in the category "Dolls & Bears\Dolls\By Brand, Company, Character\Tonner\Ellowyne Wilde". 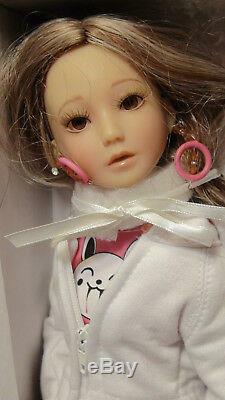 The seller is "ababygirlg" and is located in Gillette, Wyoming. This item can be shipped worldwide.